Elliot drew the Ghosts of Christmas Past, Present, and Future. Can you tell which is which? 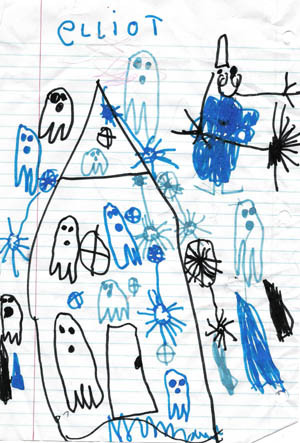 Elliot drew this awesome haunted house for me a few weeks ago and If forgot to post it. It’s Batman! I love that Elliot’s getting to the point where his drawings are starting to look like stuff and make sense. I’m likely going to be scanning some more of his work over the next few weeks and months. He’ll be the Billy to my Bil “Daddy” Keane, if you will. 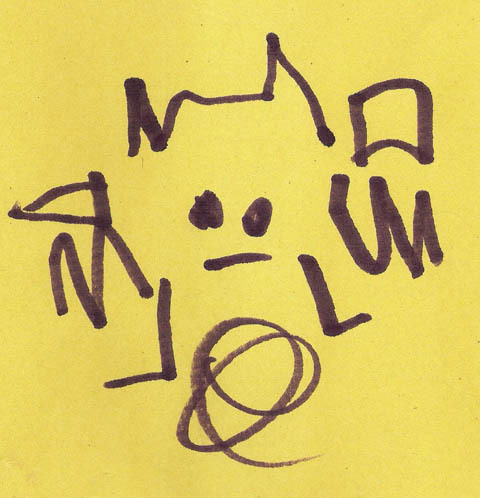 You are currently browsing the archives for the elliot’s drawings category.